Two seasons…three at the most…that’s what we would have if God had left me in charge of this task. Spring would give way to fall, which would turn right back into spring again. I might put a two week summer break in between, but I’m pretty sure I could eliminate winter from the mix without shedding a tear. Right now, the fall here in Georgia seems to be fading fast. Most of the leaves have lost their grip on the branches and have become a crunchy carpet on the ground. Only a few patches of stubborn resisters refuse to give up their grasp. 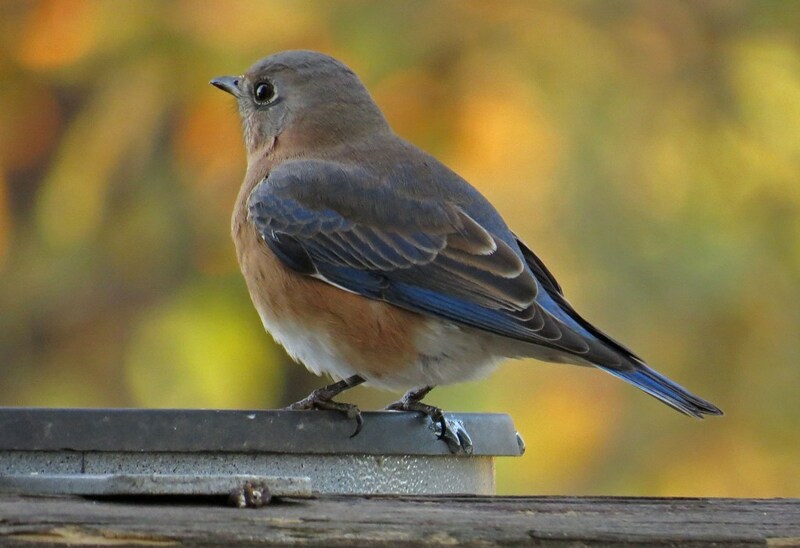 I took these pictures of a male and a female bluebird yesterday morning, and smiled to see some remaining colors of autumn blurred into the background. Once the background branches are bare, my ideal plan would be to join the ranks of those who hibernate during the winter months. But, since that is not a viable option, I will resort to fuzzy socks, warm mugs of coffee, and enjoying the birds that show up in the colder weather. 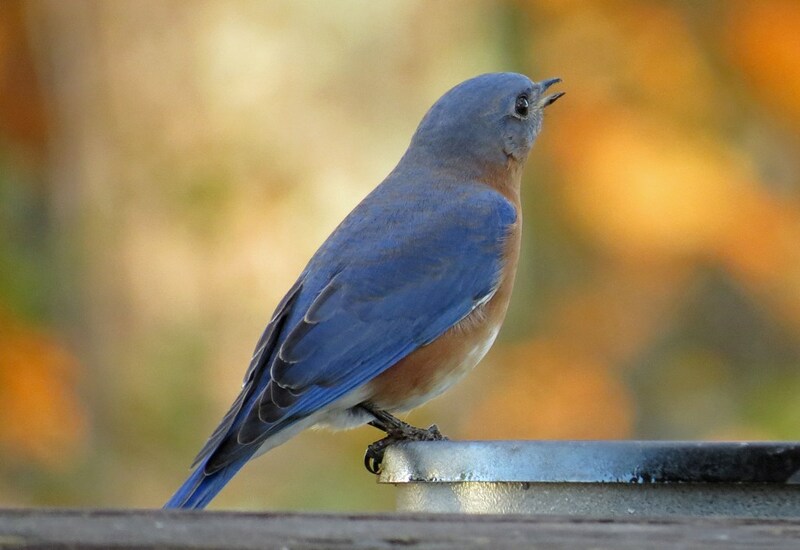 This entry was posted in Backyard Birds and tagged animals, bird photography, birds, bluebirds, nature, photography, wildlife, wildlife photography, writing. Bookmark the permalink. You should definitely be in charge, 3 seasons is a great idea! 🙂 Lovely colours Kathy. Thanks! I’m pretty sure God knows better than to put me in charge of anything though!